A popular Central London pub has turned back the pages of history and reverted to its origins. 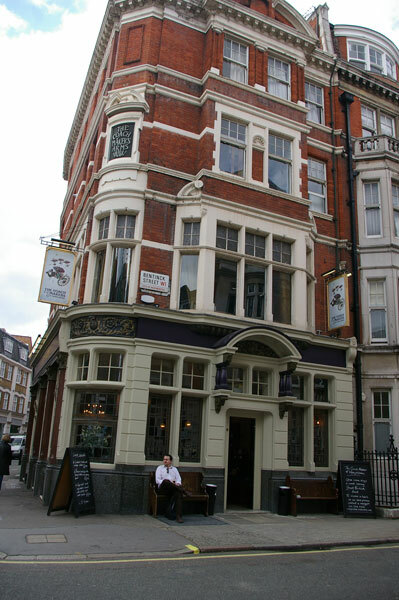 The imposing plaque on the fascia reveals that the hostelry on the corner of Marylebone Lane and Bentinck Street was christened The Coach Makers Arms back in Victorian times, although it was latterly trading as The Conduit of Tybourne and as Irish pub, O’Conor Don. That was before gastropub specialists, Large Bars, took it over, and following extensive refurbishment of the three trading floors, reopened it as The Coach Makers of Marylebone in April this year. Large Bars directors, Lee Bradshaw and Sarj Chotai, tasked Sound Division with specifying an audio infrastructure as part of the design overhaul. 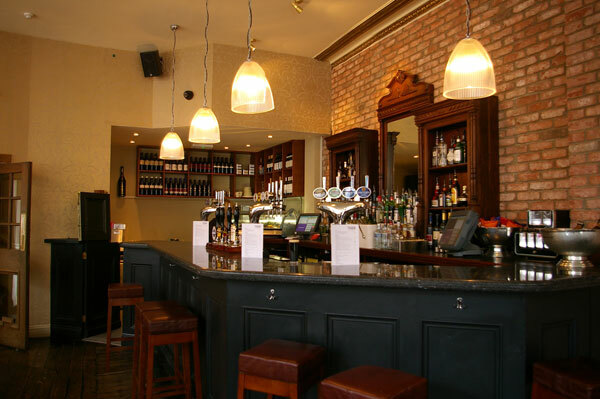 The technology specialists were contracted after providing a similar solution for the company’s Islington pub, The Angelic three and a half years ago; but Large Bars’ operations manager, Tom Dennis’s relationship with Sound Division MD, David Graham, extends back a lot further. “When I was working for Pitcher & Piano in the mid-90’s Sound Division helped us with a New Year’s Eve party,” he remembers. The audio infrastructure in Marylebone needed to match the new mood of the pub, which includes a basement Speakeasy and a first floor Gin Palace. The emphasis is on food and traditional ales, with a monthly changing British menu, including fresh oysters and Sunday roast. 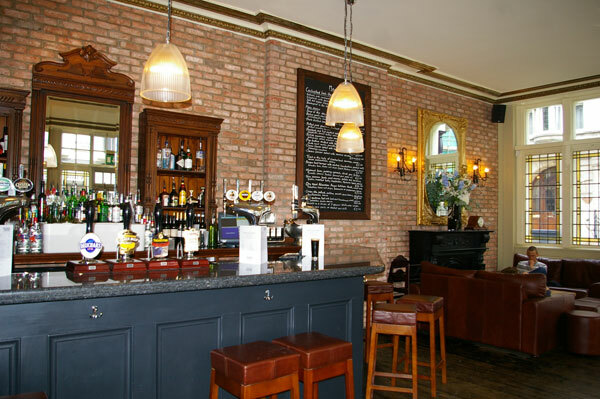 Taking note of its flexible trading and multipurpose usage (the pub is set up to host corporate events), Sound Division has supplied plug-in points for feeding in remote audio sources such as iPods, DJ’s and musicians on all floors. At the same time the company has serviced and reconditioned part of the existing sound system, such as the BSS Soundweb 9088 DSP matrix router (and local remote) and the Turbosound TXD loudspeakers down in the basement. A new Soundweb file has been designed to facilitate the various floor zones and audio sources, so that any signal source can be routed to any destination. Sound Division has complemented this by specifying multiples of Martin Audio’s stylish AQ6 architectural loudspeaker range, powered by a trio of Crown XLS 602 amplifiers, while JBL Control 24CM flush mounted ceiling speakers are installed in the toilets, driven from a Crown XLS 202. This is fed by a separate iPod-generated comedy channel throughout The Coach Makers’ long trading cycle. Said David Graham “The key element was to have a good infrastructure in place from the outset, to give the client options for the future. It’s much more cost-effective to do this at the design stage. “We’re delighted with the work David’s team has undertaken,” confirms Tom Dennis. The new interior, which incorporates antique (and reclaimed) furnishing, church chairs, refectory tables and Seagrass flooring, is already making an enormous impact on the well-to-do Marylebone business community. For Large Bars this represents the third in their expanding estate of London-based operation. Already a fourth is on the way, and the plan is to have six trading in the capital by March 2012. “Our mission,” they say, “is for each and every one of our gastro bars to be unique.” And so far that ambition has been fulfilled.